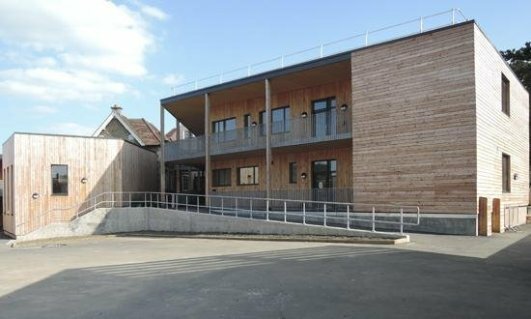 MACH is delighted to be shortlisted by the ANC awards again this year - this time for our work on the Steiner Academy, Frome. Working with architects, Feilden Clegg Bradley Studios, the main challenge was accommodating a large amount of external CLT in the design, which is known for poor sound insulation. MACH Acoustics’ Josh Childs is due to talk about his awards entry on the Steiner Academy in a presentation at the conference before the awards ceremony on the 29th June. The Steiner Academy is in good company on the shortlist: also in the running for an award is the impressive Swansea University Great Hall – designed by Dr Demetri Porphyrios and incorporates lecture theatres, concert and conference auditoria. This project is at the heart of the community and will serve students, locals and tourists alike. Environmental vibration Consultant Bickerdike Allen Partners also made it to the shortlist for their work with the British Museum. This world renound museum has continued to evolve and impress and still provides opportunities for impressive engineering - Lord Foster’s Queen Elizabeth II Great Court glass roof which opened in 2000 remains truly in a class of its' own. The 2016 Awards Ceremony takes place in the evening of the 29th June in Brimingham.